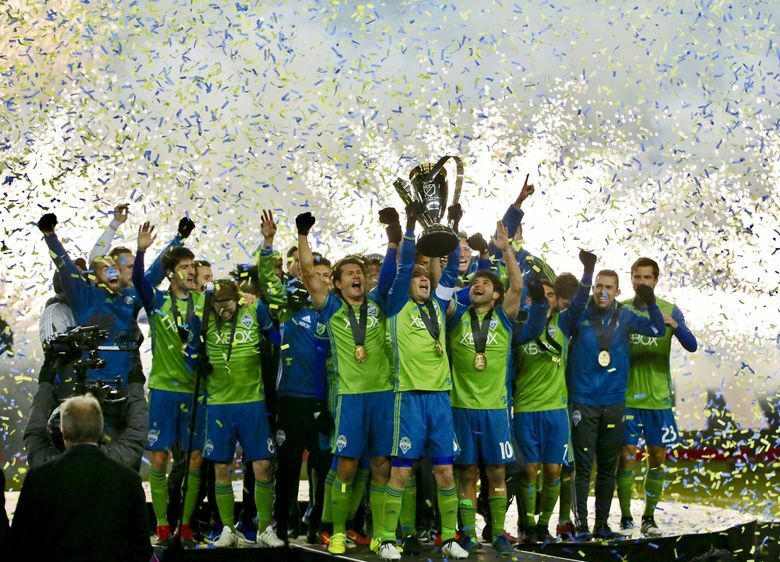 The Seattle Sounders are clearly the awesomest soccer team in existence. Here are my attempts to redesign their logo. Click on the tabs below to open or close them. Direct descendants of Concepts 4 & 5. Space Needle is done from scratch. NASL-style waves in emerald shape. Eliminated gray from logo. Made from scratch. 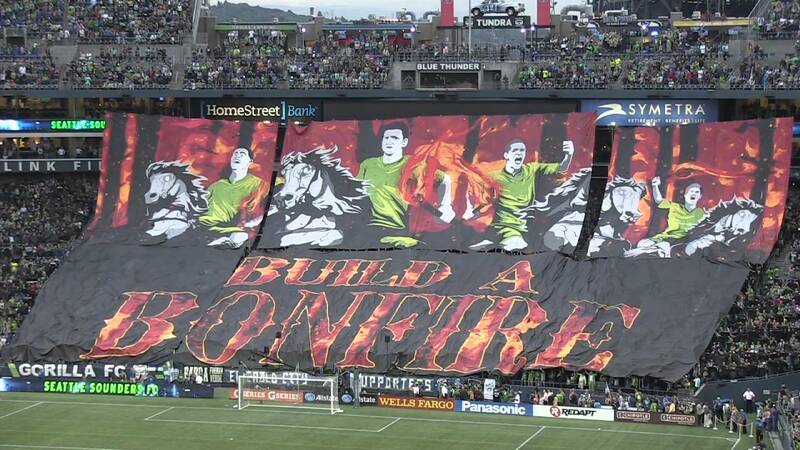 Abstract line Space Needle over NASL era waves. 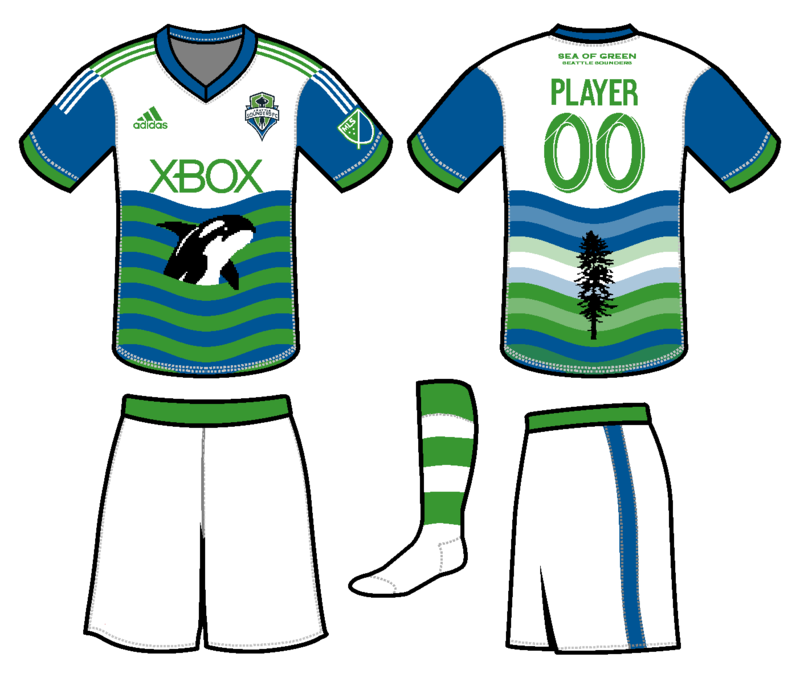 Uses the Space Needle and NASL-style waves from the current logo in an emerald shape. 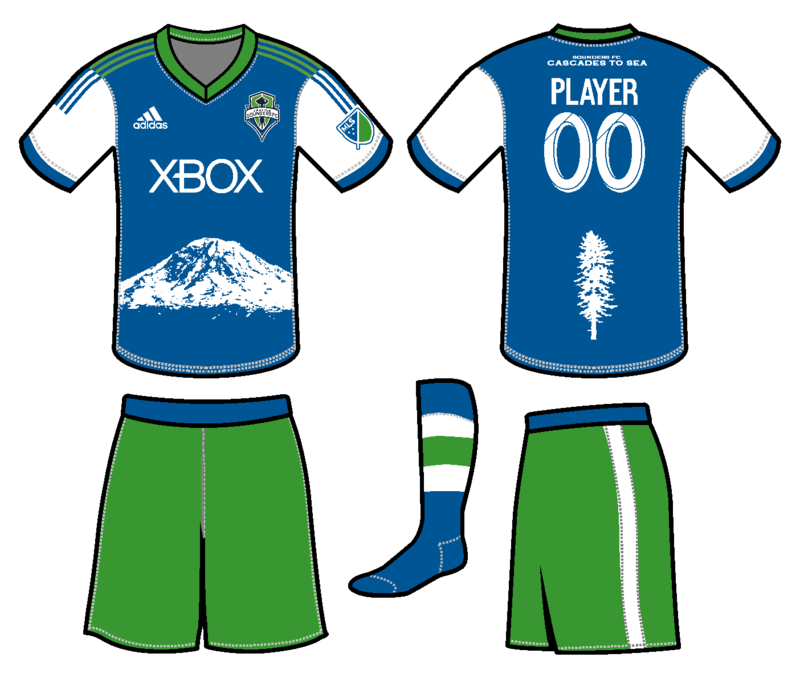 Combines the current logo with this concept from Sounder at Heart. 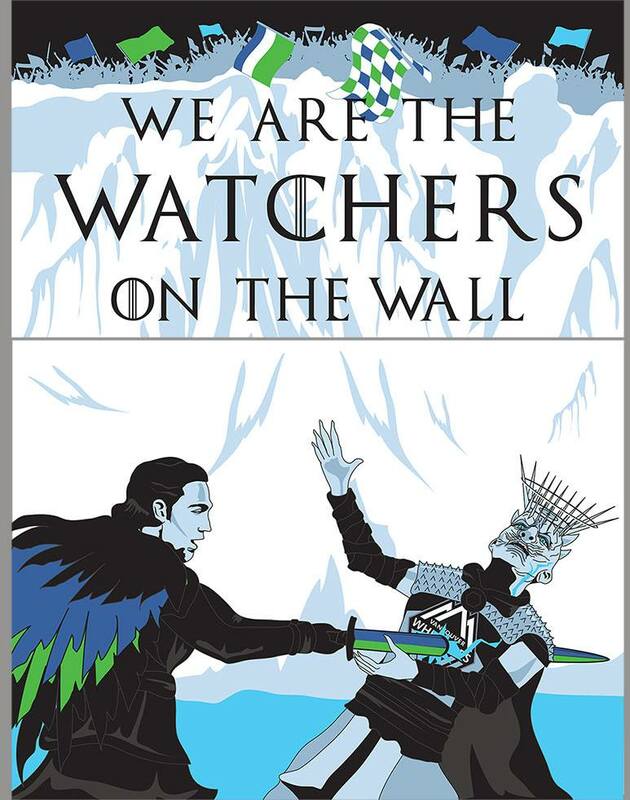 Versions with and without the current logo's banner. 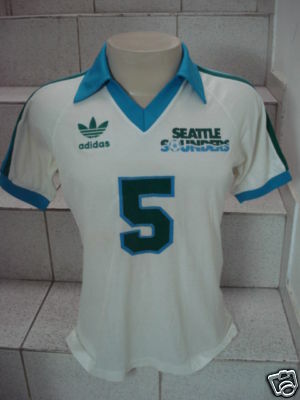 Combines the 1983 NASL logo and the Space Needle from the current logo. 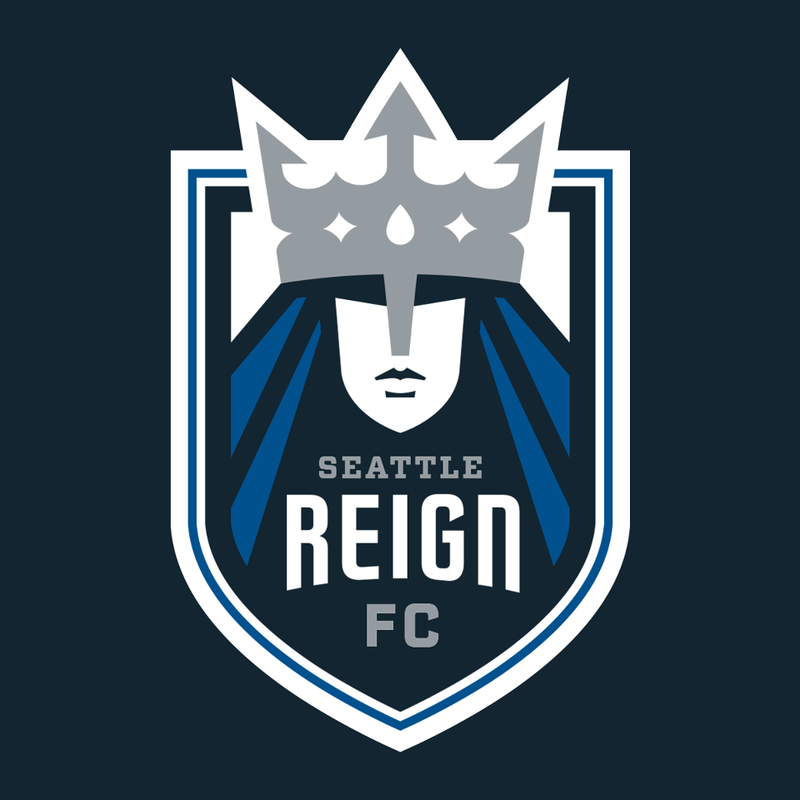 Uses the NASL era waves and ball, the current logo's Space Needle and text, and the shape of the Reign logo. 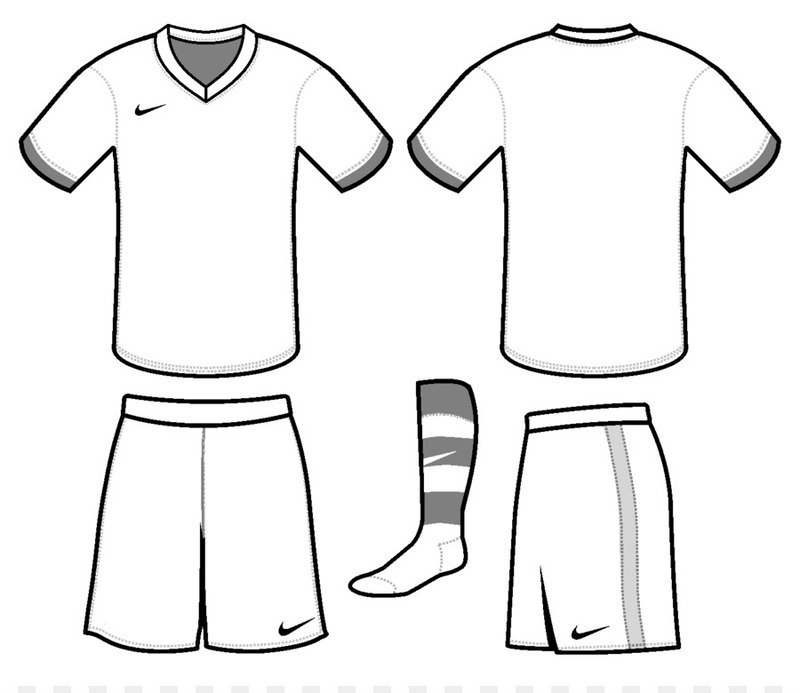 These jersey concepts use the current logo and colors. These were made using Raysox's beautiful SVG template. 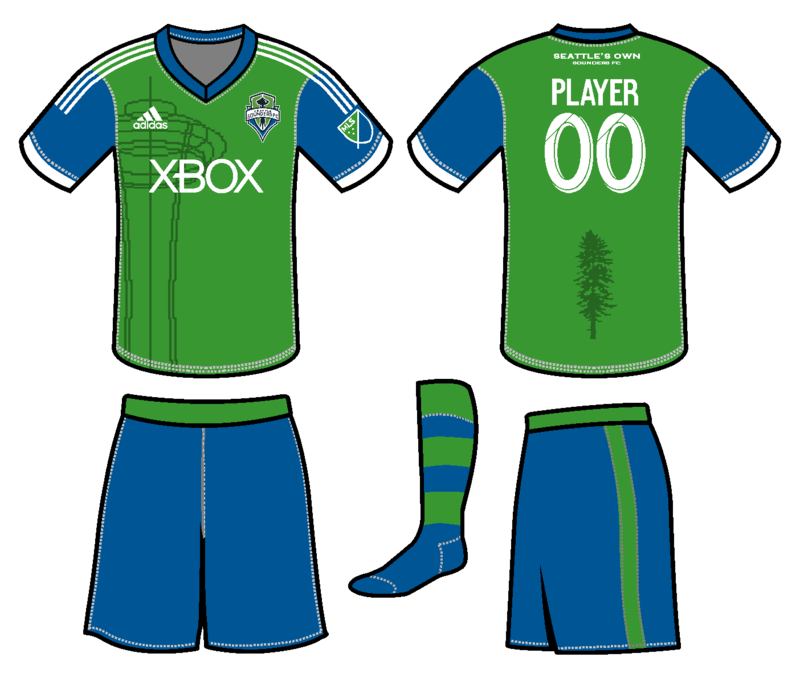 These jersey concepts were designed alongside Concept 1. 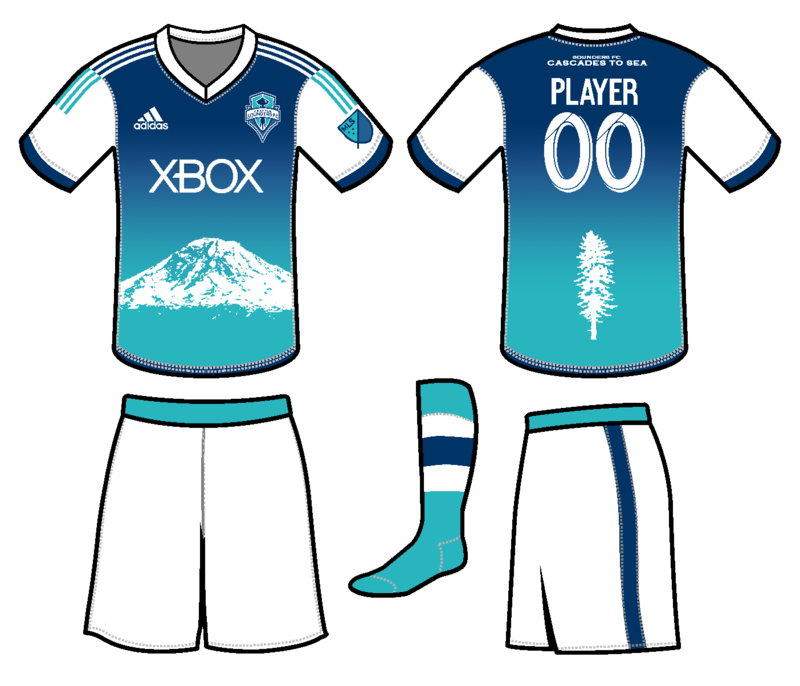 These were some of the first jersey concepts I did in Photoshop. These were made using this strange Paint template.